My dad told me a long time ago that the people that fix things are the ones with the right tools. We admire the people that we call “mechanically inclined”, but don’t recognize the importance of the proper tools they use. It is false to think that just because you put the proper tool in someone’s hand the job will get done. However, without the proper tool it is hard for even the most mechanically inclined people to complete their mission. What we find is that the people who fix things also take pride in the tools that they have for each problem they may face. I was in a quandary. The distance of the golf hole was 180 yards. It was an in between distance I thought from the clubs I normally used. In the bag however was a 4 wood that I rarely swung. “Why not try that club?”, I thought. Amazingly the ball went beautifully toward the green landing a few feet short and rolling right up on the green! As I put the club back in the bag I said out loud “that was just the right tool for the job!” My retired friend who was playing with me that day agreed. I don’t play golf very much but I have to admit that I have too many clubs in the bag. Some of these are specialty clubs that you may need in a particular situation. The problem is that I don’t practice with these clubs enough and when that situation comes up I’m liable to miss-hit the ball with it. The other problem is digging the right club out of the bag at just the right time. The third problem is that carrying all of the situational clubs can make for one heavy bag. After hearing how heavy my bag was a former neighbor told me that I should pick out only the clubs I use the best and take the other ones out of the bag. Years ago I played golf with another guy whose idea struck me as very funny. Instead of using all of his clubs in his bag he was hitting every shot with his 3-wood. It seems that he liked that particular club and used it to excess. Somewhere there has to be a middle ground to these two approaches. My dad had a tool box and tried to keep his tools organized. He had his wrenches all tied together so he could find the right one in a moments notice. I too have a tool box but I hate to admit the number of times a particular job comes up and I can’t find the right tool. It isn’t because I don’t have the tool. It is more a case of not needing it and when I do having a hard time finding it. This comes about when the tool is used and it doesn’t get back in it’s proper place. It’s a simple exercise that often gets missed. Having your tools ready for the next use is as important as using the tool you need in the present. It reminds me of how some companies treat their customers. Instead of a long term relationship they are only concerned with what they can sell them right now. To relieve this problem companies now put their customers in their data base so that they have a history of their visits on their books. Having a long term approach always keeps customers in the pipeline. Treating customers the right way brings them back. Putting your tools in the proper place insures they are there when you need them the next time. A Claw Hammer-Can be used for demolition jobs and pounding in nails. The claw can pull misguided nails out and also straighten it’s path. A Tape Measure-Remember the old saying “measure twice and cut once.” A tape measure is an essential tool. Cordless Drill and Bits-How nice it is to drill holes without cords or the old fashioned non-electric drill. Reversing the direction makes taking screws out so easy. Isn’t it ironic that these twelve basic tools was also the same number that Jesus chose to be his Disciples? He chose the original twelve to spread the Gospel throughout the earth. In the same way he wants to use us for his purposes in our day. There are never too many clubs in God’s bag. He is able to take whoever is willing and use that person in a special way to reach others! Sometimes we wrongly feel that our gift is not special. God looks at the gifts he has bestowed on us as very special! He specifically made us all for his special purposes. When he needs that special gift does he find us where we should be? Sadly too many are not ready when the master calls. We find ourselves out of the box, lost, or feeling unneeded. His or her tools provide comfort for the carpenter. Like going to the toolbox to find the perfect tool for the job, God looks for us to meet his purpose too! Preparing for a job to get done he is confident that we can be successful through him. When he reaches for an extension of his hand he wants to be able to count on us. Will he find a willing heart when the master craftsman needs to use us in showing his glory to a dying world? I was reminded of this disconnecting problem because recently I was talking to a friend that had a similar experience within her church. No, the church satellite system didn’t lose connection during a storm. It was a disconnecting problem far more serious. She was fairly new to this church but a message that she heard from the pulpit touched her heart. It was a message of making people feel welcome! It was about how everyone in the church should make every effort to make new people and old alike feel right at home. It was about how that we are one body and how everyone adds to that body. Everyone should feel comfortable doing their part and each of us should be appreciated. It was a fantastic message and made my friend more comfortable in deciding to venture out of her comfort zone to a Bible Study the church was promoting. Her friend and her were supposed to meet there but something came up and her friend couldn’t make it. When she arrived she didn’t really know anybody, but she did recognize the face of one of the leaders of the church. She sat at that table and small talk was exchanged. Then out of the blue this leader turned to her and announced that they were expecting someone else to come, that she probably had other people coming too, and the whole table got up and went to another table leaving my friend sitting there all by herself. She had to shake her head in disbelief wondering what happened to that wonderful message that was given just a couple of days before? Sadly maybe I can answer that question from something that happened to me a few times. You see we were regulars at this church and we came in just before the service was about to start. The only seats that we could see from the back that were available were on the left side about five or six rows up. Getting comfortable in our seats we noticed right in front of us was a young couple sitting very close together whispering to each other. At first it seemed like a normal thing, but when church started the closeness and whispering continued. When we would get up and sing they had their arms around each other sharing the same book. When we sat down to hear the message it was the same closeness and constant whispering. Of course I’m thinking “Are they here to worship God or each other?” Naturally I’m leaving the service wondering, what the pastor had talked about? The next week we were in our seats ready for the beginning of the service and the same two people sit right in front of us! It was the same thing all over again. I don’t know if these people realized what a distraction they were and I felt like I should tell them. However, I thought better of it. What should I do? Should I tap them on the shoulder and ask them to quit worshiping each other because it was disturbing my worship of God? The disconnect problem is a common one. It is prevalent with teachers, coaches, bosses, counselors, doctors, and pastors among others. Each of these fine people take hours and days preparing their messages only to find that their words have been disconnected in a good percentage of hearts and minds. Somewhere between when the message begins and the actual real life action the message is lost. It may be in the execution of the plan or it may be that the plan was never crystallized into our thinking. Sometimes the plan goes against how we want to live so we reject it. I’m reminded of the doctor who told his patient he needed to quit smoking and drinking and to change his diet. “So what are you doing?” a friend wondered. “I’m switching doctors”, was his reply. I wish I had a sure fire way to keep people more focused! I see companies trying to do it with medication or energy drinks. Like any problem it is necessary to admit that the problem exists. It may be just a willingness to improve that will help the situation. Be honest with yourself and with others. There will always be distractions we can let hinder us. There will always be storm clouds if we choose to see them. Focus instead on the message being sent your way! Vision in your mind what actions you will take to accomplish the execution of the message given! Proverbs 29:18 states that “Without a vision, the people perish.” I think the same can be said for our messages. Without a vision our messages are lost! Taking that thought in reverse when we hear the message and vision ourselves executing what the message has us accomplishing, the message takes on life! It is no longer just words as we actually take the steps needed to make it reality! Sometimes in life storms come through and we lose our focus. 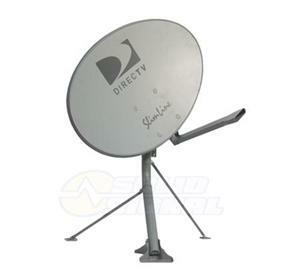 In the case of my satellite dish if the storm causes us to lose the picture we don’t knock down the dish. We have faith to know that the problem will be solved once the storm fades. When I look at my blank screen I know that if I stay the course and have a vision for what will happen the picture eventually returns just as clear as it ever was! and I’m not feeling the power? when I’m in my trying hour? and let it slip away? when I’m on my lowest ground. in my time of pain? I thought, why don’t you love me? my phone was off the hook. to be little. What you brought home, I blew away. They say the customer is always right. In reality the customer is often wrong. Yet somebody way back made a policy for his business that tried to follow this principle. The principle really breaks down like this. No matter how far off base or totally wrong the customer is, they are always right. Why is such an absurd statement treated like gold? Well in business they determined that it is better to agree with the customer instead of ruffling feathers. It is better to leave the customer with a favorable impression of your company even if you have to bow to their demands. I got in trouble one time because of the customer always being right. As I mentioned before I worked in a famous department store selling clothing for men. One day I was working the floor alone. I don’t know if it was thought to be a slow day or what, but here I was an 18 year old kid working the whole department by myself. As it turned out the place got extremely busy. Customers were lined up at my register and I was helping one after another. There was a lady that was interested in buying a suit. She wanted my help immediately or someone to assist her in finding the right suit. Since I was the only one there and obviously the policy was to tend to the paying customers first, I couldn’t. I smiled and told her that unfortunately I couldn’t help her right now. As I was helping my long line of paying customers this lady apparently ran upstairs to the store managers to offer her complaint of not being helped. The lady was right. She deserved to be assisted in her effort to buy a suit. Why did management only have one person on the floor? The answer to that question didn’t matter and was never answered. The customer blamed me for not helping her. In this case an 18 year old kid making close to minimum wage and doing the best that he could took the full hit for the customers dissatisfaction, because as we all know the customer is always right. Telemarketing can be very annoying as you know. The call usually goes something like this. You pick up the phone “Hello”. There is silence for a few seconds then someone comes on the line. Mr. Hamilton, yes…and then the sales pitch begins. My name is so and so from blah blah blah, and on and on they go. I think the person takes a deep breath and doesn’t breath again until they have at least got through most of their talk. I know it is a thankless job and most people hang up on them I would imagine. I realize too that they are playing a numbers game. They figure if they call so many people one person will say yes to whatever they are selling. Yet to me this kind of marketing does not leave a favorable impression of their company. I’ve been considering buying some business cards for this site. I’m thinking it would be easier to give someone my card instead of always writing down the website. The first place I checked was a place I could order them online. I thought their prices seemed very reasonable, but I thought I would try a local place or two where I could meet someone in person. The first place I visited a middle aged man helped me and he represented his company well. He basically told me that he could not compete with the online business in price but wished me well. I visited one more place and a guy in his twenties helped me. He seemed to have the attitude that I couldn’t get a better deal than what his company offered. I honestly told him that the prices he was quoting were not in the ball park with the online prices. He responded by giving me the amount of business cards that his company sold every month. To be honest that fact did not make any difference to me. I was interested in a quality product at a price savings! I didn’t care what everyone else was doing. If he would have said “I can’t touch their prices, but if you want a quality product and don’t want to go through the internet to order I can help you,” I think I would have left with a better feeling about his company. In fact I don’t really like the inconvenience of going through the internet. If he could have made me a competitive offer even if it was a bit more along with his personal service, I probably would have been interested. Instead I left feeling like i was talked down to. This past weekend we had to have our car serviced. Since we were told it might take an hour and a half we decided to walk over to a Burger King close by. I have to say that this particular Burger King made me smile! Their employees were very friendly and helpful. I know it helped that the place wasn’t very busy when we came in. The girl that rang us up actually stopped back a couple of times to see how we liked our food. Along with other things we ordered one of their new shakes. The manager was very friendly and actually sold me on getting the larger size! It was a pleasant experience to feel that they really cared in a business where so many times it is very impersonal. Often I’ve found when ordering fast food people are running around trying to fill my order without giving much thought to treating me like a unique person. This experience was different and it caught my attention and made a very favorable impression of them and Burger King for hiring them!! I see commercials all of the time promoting large companies that are in our town. Millions of dollars are spent for advertising to give their place of business a favorable name. Yet, you and I have had experiences where one employee of that large multimillion dollar company has either made the company better or worse in our eyes. My Burger King experience was brought about by the people who worked in one location that day. It had nothing to do with the millions of dollars they put out for advertising. The extra time those employees took made me feel special and important. My experience with the second business card company made me feel small. The salesperson made me feel like I didn’t know what I was talking about and that he knew it all. Maybe it was just me but that perception from five minutes in his store left me with a bad taste in my mouth. It doesn’t matter if his company throws a million dollars into advertising to get me to come back, I won’t. My experiences and yours are far more powerful than any advertisement. When we think of doing business with a company, we think about how we were treated by that company in the past. That one person represented their company in a good or bad way and makes or breaks how we think about their company. There are times when I have had a legitimate complaint about a company and the representative knew it. Yet, they are trained in the felt, found, feel theory. Their canned statement goes like this. You know I felt the same way, until I found this and now I feel this way. In theory it sounds like it should solve every problem. It also sounds like they are agreeing with you. After all the customer is always right so agree. However I’ve found that people can be so fake saying the line that they are trained to say that it comes across as totally fake. When they say “I know how you feel”, are they saying it with feeling or is it just words? Do you really believe they know how you feel? Then there is always the word “but”, as in I know how you feel, but this is company policy. Somewhere back there the customer is always right has been replaced by the felt, found, feel statement. It comes down to caring not just words. If I feel that someone really cares and are not just sputtering words, I am apt to start or keep a business relationship with their company. If not I will look somewhere else and recommend that my friends and family go elsewhere too. As Christians we are representatives for our Lord Jesus Christ. As his representative I want to shine the best light on who I am representing. This is not a case of “the customer is always right.” Many times the people that are looking at how we live are not right. They realize that there is something missing in their life and are looking for answers. They are looking for people who are not fake and who walk the talk. They are looking for someone who cares about them and truly loves them. I may be the only Christian somebody comes into contact with. With that in mind I can either make Christianity an attractive way to live or I can turn people off. I am only one person but as we’ve seen one person does make a difference. The person examining me may be at the turning point of their life. How I represent may either make or break their decision to accept Jesus. Do I make them feel small or important? Do I show that I truly love them and want to give them what I have or does the words I say have no feelings? It’s very critical that I represent Christianity well because the stakes for my examiners are very high. They are much higher than what fast food restaurant they will eat at or what business card they will buy. and see a change of heart? to make a brand new start? for I’m the only Jesus they will see. Where is the church to help them? Will someone please shake us up? but the church is fast asleep. People don’t care what you know, they want to know that you care! That saying was brought to mind recently when I passed a V.I.P a couple of weeks ago. As our eyes made contact I said “Hey” with a smile and he said “How’s it going?” It was a cold day in Michigan and I had not been in the building long. “I am freezing”, I offered. “That’s good” was his reply. That little exchange got me asking the question again Does anyone really care? What messed the whole thing up is I didn’t stay with the script. If I had said the standard “fine” that was written on my Q-Card everything would have run smoothly. He stuck to his script, why didn’t I stick to mine? The answer of course was that I actually thought someone cared. By his response I saw that running into me was an inconvenience that interrupted his thought process. There are ways to avoid these confrontations that people use. Avoid eye contact when you’re passing someone, mess with your cell phone or just look the other way. What you are telling the person is “you are not important and don’t bother me”. Or you could move your lips without your voice into a hi form. This is saying “you’re important enough to acknowledge but not important enough to make an audible sound”. Then there is the typical “How is it going?” which usually means, I don’t really care so just say fine. The sad part is that I have been guilty of the same type of thing. A persons name is very important to them! So many times I have been guilty of completely forgetting someone’s name. It can happen when I know their name but happen to run into them unexpectedly and can’t pull their name up. That situation is somewhat excusable. The one that isn’t is when I have been introduced to someone and never bothered to know their name. Worse yet is if they start calling me by name and I don’t know theirs. If you are like me at that point you are making every effort to find out their name! The best way to show you care in those passing moments is by using the name of the person you’re passing. “Hi Frank, How are you?”, with a smile and then actually listening to his response. Of course you have to know that his name is Frank and it helps to know a little about him. That is where the effort of caring comes in. If you really do care you will show it with preparation. Just as you would prepare for a test because you care how you do, preparing for caring is just as important! Preparation is the state of having made ready beforehand. It’s like practicing your free throws before you are confronted with the situation in the big game. Or it’s like studying for the big test before the big test. Anticipating the questions and the answers before they come up. We take a lot of time preparing for these type of things and yet making the effort to care is usually disregarded. Don’t make the mistake of saying “I can never remember names”, or “I am not good at remembering names”. In those statements you are programming your mind to not make the effort because it will fail anyway. Your mind is like a giant computer. We’ve all filled it with worthless information and trivia. Now use it in a positive way to show you care, instead of just mouthing the words! A key moment in remembering names is when we are first introduced to someone. How many times do they walk out and we are saying, “Now what was his name again?’ The fact is we were not paying attention. We had our minds on something else or what we were going to say. We didn’t think of their name or associate it with anything. Instead concentrate on the name and the face. When they leave, if at all possible, write their names down. Make a list of that person’s name, what they look like and something about them. Keep a little book of names and information about them. It has been proven that by writing things down you are more apt to remember. Prepare yourself for names of people you may come into contact with. Check your little book, review your names and put a face to them. Very rarely do you hear someone say “the name is familiar but I didn’t recognize the face”. Review what you wrote earlier about their job, where they live etc. The more you dwell on the caring effort the more you will remember! How does all of this talk about remembering names and caring relate to our christian walk? Well the fact is that if the church is not reaching out and helping people around it, it is failing. It is past the time for “feel good” services. Is caring an inconvenience that interrupts our plans and ideas? When the church asks the world, “how’s it going?”, it needs to be prepared for the reality of the answer, stop and listen with interest, and make the effort to care.